Born in 1973, in Mlada Boleslav (CZ), Jakub graduated from the University of Chemistry and Technology, Prague, Czech Republic. During his studies, he worked as an analytical chemist in a laboratory at Irvine Ranch Water District in California, USA. After finishing his studies, he completed a PhD program at the university in the Department of Glass and Ceramics. In 2004, he was awarded a PhD degree for his thesis on the kinetics of hydroxyapatite formation on inorganic bioactive materials. Jakub has been working with LASAK since 2004 and is one of its owners. Until 2006, he worked as a researcher in the R&D department, and then was the head of the department between 2006 and 2008. Since 2009, he has been the managing director of the company. He still teaches about biomaterials, at the University of Chemistry and Technology, Prague. He has co-authored more than 70 scientific papers in peer-reviewed journals and monographs in the field of chemistry, inorganic materials, biomaterials and dental implantology. Additionally, Jakub is a reviewer of such journals (e.g. JOMI). He is a member of the European Association for Osseointegration (EAO) and the International Congress for Oral Implantologists (ICOI). Born in 1972 in Prague (CZ), Jan studied electrical engineering at the Secondary School of Transport in Prague. In 1991, he was admitted to the Faculty of Civil Engineering of Czech Technical University in Prague, and, in 1995, he joined a family construction company dealing with specialized concrete insulation. He started as an operating technician, working his way up into the management of the company. Jan began working at LASAK, in 2002, as an assistant to the economic and business director. 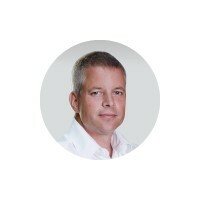 Following the tragic circumstances of 2004, he took over part of competences and responsibilities of his late father, Igor Riedl, becoming the CFO. 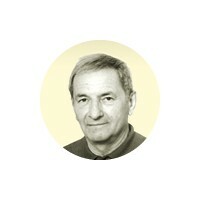 Zdenek graduated from the University of Chemistry and Technology in Prague (CZ) in 1962. He worked as an independent researcher at universities in the United Kingdom between 1970 and 1971, and in 1986, he was employed as a consultant for glass ceramics materials by Nippon Electric Glass Ltd., Japan. He worked at the Sklo Union Research Institute for nearly 20 years, (1974–92). When the Sklo Union Research Institute closed at the beginning of the 1990s, Zdenek, together with Igor Riedl, and motivated by previous successful research, decided to establish a centre that would enable the continuation of research into such advanced materials. 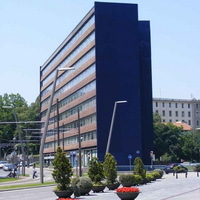 Thus, they founded LASAK, with its headquarters in Prague, at the end of 1991. 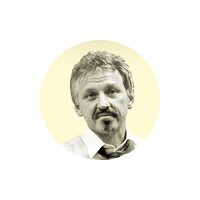 In 2009, Zdenek was replaced as the managing director by his son, Jakub Strnad. Currently, he is the Head of Materials and Clinical Research. The theoretical and practical outcomes of his work are presented in the monograph “Glass-Ceramic Materials/Liquid Phase Separation, Nucleation and Crystallization in Glasses‟, published in English by Elsevier (Amsterdam-Oxford-New York-Tokyo) in 1986. He has authored and co-authored many other books, published more than 100 scientific papers, both in Czech and international journals, given several dozen national and international lectures, created various utility models and holds a variety of patents. Igor was born in 1933 in Prague (CZ) into the family of a top bank officer. After finishing his studies at English grammar school, he wanted to further develop his extraordinary talent for foreign languages. However, whether through fate or happy coincidence, he was led to chemistry. In 1958, he graduated from the University of Chemistry and Technology Prague, Department of Silicates, where he was awarded the “Candidate of Sciences” (CSc.). After graduation, he became a technologist in the then national company, Prumyslove sklo (Industrial Glass), at its Ruzenin plant. There he gained his first practical knowledge of glass technology. His interest in the then-evolving area of industrial glass brought him to the Sklo Union Research Institute in Prague. In the institute, he started as a researcher and, in 1968, became the head of the research department. In this capacity, Igor fully applied his practical and professional experience and excellent organisational skills to successfully completing a large number of applied technology research projects. In many cases, the results of the projects were implemented into production. In 1990, he was nominated the Deputy Minister of Industry, being responsible for the management of the silicate mass industry. After six months in office, he returned to research and, together with Zdenek Strnad, founded the private company, LASAK. He started working at LASAK as the economic and business director. Within a short time, the two founders built LASAK into a thriving company with a dominant market position in the Czech Republic, and the ability to successfully develop further. On July 5, 2014, Igor tragically died in a car accident, at the age of 71. His work in the area of economic management of the company was taken on by his son Jan Riedl, who is the CFO. Zdenek was born in 1939 to a Czech family which owned glassworks in the North Bohemian mountains, in Jablonec nad Nisou, during the First Republic (1918–1938) and which, later, focused on the production of glass jewellery (Jablonec glassworks) in the Central Bohemian town of Mnichovo Hradiste. The end of the First Republic in Czechoslovakia and the German occupation caused the end of the family business. 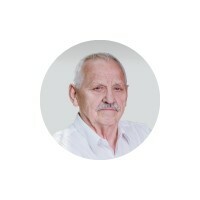 Zdenek decided to honour the family tradition and graduated from the University of Chemistry and Technology Prague, where he defended his doctoral dissertation on silicates in 1970 and in 1992 habilitated as an Associate Professor. He worked as an independent researcher at universities in the United Kingdom between 1970 and 1971. In 1986, he was employed as a glass ceramic materials consultant by the Japanese company Nippon Electric Glass Ltd. From 1974 to 1992, he worked at the Sklo Union Research Institute, and from 1978 to 1984, as a member of the International Glass Committee. After 1989, Zdenek focused his scientific activities on research into bioactive materials for the replacement and regeneration of human tissues. In 1991, he co-founded the LASAK company. The initial orientation and further direction of the newly established LASAK company were significantly influenced by Zdenek and his vision of an “endosteal implant with a bioactive surface”. At that time, the concept of bioactivity was connected only to ceramic bioactive materials. However, the mechanical properties of such materials usually did not even meet the requirements of moderately loaded implants. The idea of a bioactive implant of sufficient mechanical strength was partially met by the development of the endosteal dental titanium implant, IMPLADENT, with a plasma sprayed hydroxyapatite bioactive coating (Z. Strnad, J. Strnad, C. Povysil, K. Urban: Effect of Plasma Sprayed Hydroxyapatite Coating on Osteoconductivity of Titanium Implants. The International Journal of Maxillofacial Implants, 15 (2000), 483–490). However, the idea of an “endosteal implant with a bioactive surface” was not fulfilled in its entirety until the launch of the unique BIO-surface technology. The technology was developed and implemented by LASAK under the management of Jakub Strnad. It is successfully used by both the IMPLADENT and by BioniQ® implant systems. Jakub, the son of Zdenek Strnad, has led LASAK since 2009. Zdenek is currently the Head of Materials and Clinical Research of the company.